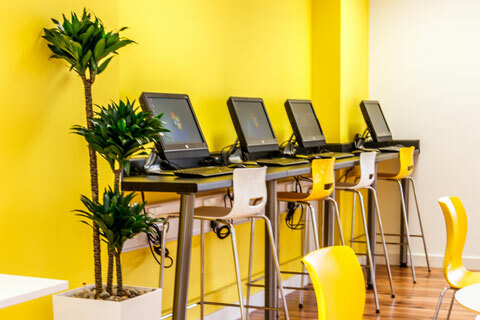 The Imparando City of London Learning Centre is central London’s premier dedicated IT training facility – and more. 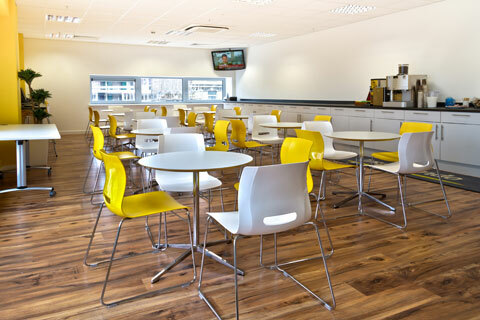 It’s a spacious, purpose-designed venue offering a superb mix of hi-spec training rooms, seminar rooms, meeting rooms, and conference and event spaces for hire or lease, close to London’s financial and legal centres. We set out to develop London’s brightest, freshest, multi-purpose training centre and corporate learning facility. And that’s exactly what you get, with flexible IT training room hire and event space rental options, competitive pricing and high-level on-site technical support and services. 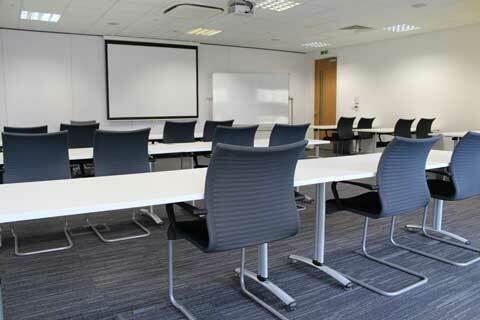 It’s the optimum environment for corporate education and events. All rooms with natural daylight for alertness, receptiveness and high-performance learning. Excellent soundproofing, acoustics and sight lines. 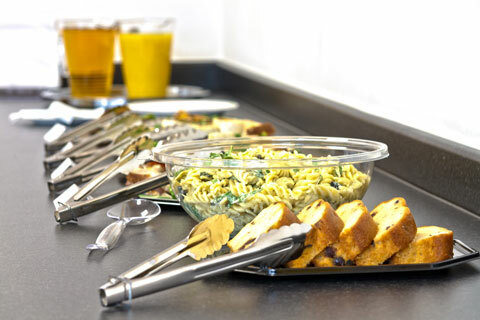 High quality, healthy food and refreshments throughout the day. Imparando clients benefit greatly from our industry-leading experience in developing and delivering custom corporate education, user training and self-paced eLearning. That experience is present in our management team, our consultants, content developers and trainers, and in those who manage and support the Imparando City of London training facility. Imparando consultants have implemented many of the largest and most successful training programmes in Europe, for enterprise application training and user adoption projects and also as support for business change projects. During this time he has led the creation and delivery of highly effective corporate training programmes for many of the world’s leading companies. 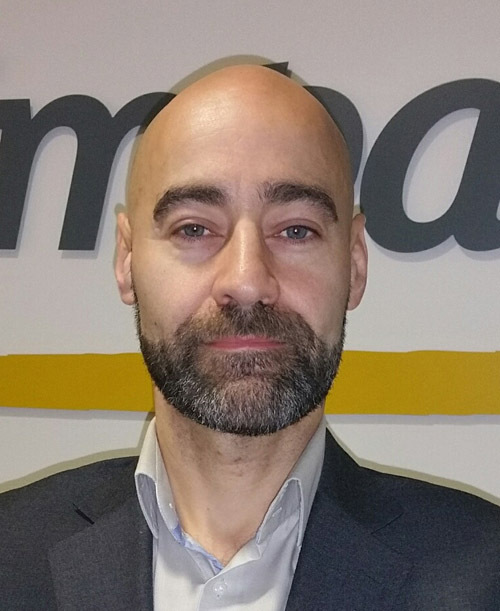 As part of his MD role at Imparando, Ray is responsible for the development of the Imparando City of London Learning Centre, Imparando Learning Services and Imparando Business Change Support services. 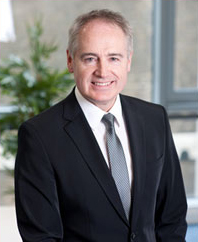 Ray has considerable success and experience in business leadership at the highest level, including P&L management and merger and acquisitions activity. He has twice successfully prepared for sale, and sold, corporate educations solutions companies: MTS in the UK (which he grew between 1995 and 1997 to become Cisco Systems’ largest education partner in Europe); and Global Knowledge CH, in Switzerland. MTS was sold by HTS in 1998 (subsequently acquired by Azlan, in turn acquired by Global Knowledge in 2006). Global Knowledge CH was sold to Digicomp Academy AG, in Switzerland in 2005. European Director of Alliances and Product Management for Unisys EMEA. 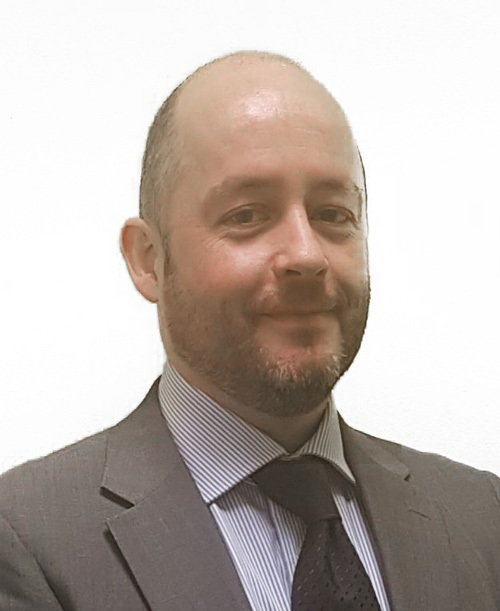 Having worked in the hotel industry for over 15 years in London, within the Sales & Marketing arena, John has engaged at senior level with many of London’s, and the UK’s major blue chip organisations. These can include, Royal Bank of Scotland, Maersk Group, Royal Sun Alliance, Bank of England, Beazley Group, London Business School and much more, not to mention at International level also. 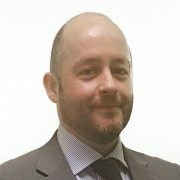 A Sales Professional, with extensive knowledge, a ‘go-getter/hunter’ attitude, John offers the skills required for new business development and key account management. With experience in the full 360 degree sales cycle, John has opened the door with many new business development achievements and success. Be this increasing market share from a number of existing accounts, or pro-actively identifying, targeting and closing new account wins, John offers the complete sales cycle in his experience. New achievements can include IATA (International Airline Association), preferred/sole London venue suppler for two consecutive years at Imparando, and more. London Business School, increasing market share and accommodation demand at Guoman and Thistle Hotels, one of their Key London accounts. From independent hotel level to multi-international brands, John has worked for many of the world’s key hotel chains – brands include, Marriott International, Choice Hotels and Hilton. New hotel openings have also been in the career path, with the opening of one of London’s ‘new age/modern’ hotel concepts, the Qbic, Aldgate. Compass Group, a world leader in the contract catering and events market, John held the role of Head of Sales, at one of the UK’s prestigious stately homes, Hatfield House, Hertfordshire. Starting her career as a teacher, and specialising in the field of Economics, Iuliana has developed a strong understanding of the UK/International business and financial markets. Bringing these skills and knowledge to Imparando as Commercial and Operations Director, Iuliana offers a full spectrum of on-site support and matches client trends/demands, with a seamless training delivery at our facility. A very strong ‘people person’, Iuliana plays a key part in the organisation and delivery that our customers experience, the minute they enter the Imparando facility. Able to prioritise and delegate tasks effectively to ensure timely project completion within a team environment. Decisive, efficient team approach, Iuliana inspire her team members to achieve their potential while working toward common goals. 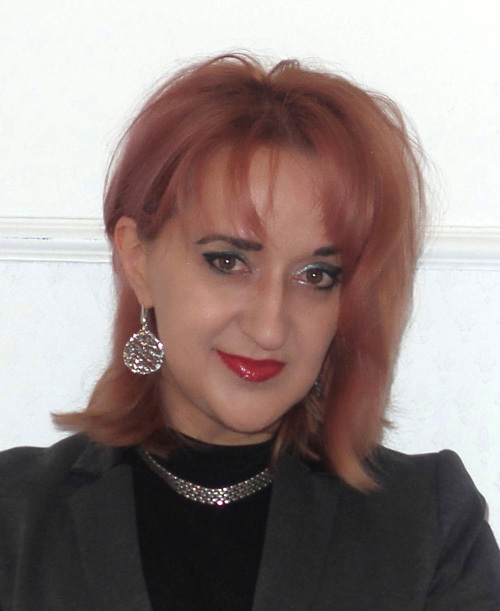 As an economist, Iulianas’ role included working and advising at senior management level, industry trends and financial projects, and their short and long term business goals/objectives for the success of the organisation as a whole. Being focused on economics, this allowed Iuliana to transfer these skills into her banking career, enabling her team and her to make strategic financial decisions. Iulianas’ previous roles include education and training sector, at various levels. She has also worked within an economist role for a leading information technology company. Other roles include banking clerk, focusing on credit application and approvals. Sam has over 22 years of Information Technology experience, with the last 10 years specializing in various eLearning Technologies in the Training Industry. He is primarily responsible for defining and guiding Imparando’s Technology and Infrastructure Strategy’s, providing clear Technical Direction from concept to implementation on all major projects. Sam was one of the first full time members to the Imparando staff, building from the ground up, what is now an awarding winning Facility Infrastructure System. 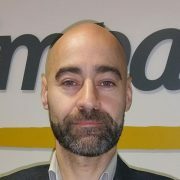 As Imparando’s Principle ‘eLearning’ Technical Specialist, Sam has been involved with the implementation of many eLearning projects consulting primarily on behalf of Oracle’s User Adoption Services™ and Oracle Consulting™, supplying Technical Services and Consulting to some of their most prolific customers in Europe. 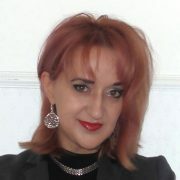 Sam holds various Oracle Product Certifications and is a Certified Oracle Product Technical Specialist. 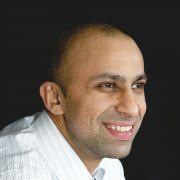 Shakil Moosun joined Imparando in 2011 as the senior technical support engineer. Shakil thrives on problem solving, helping clients determine their technical needs, and ensuring there is no interruption of service for a seamless delivery. With years of technical experience Shakil always looks for ways to improve processes, and procedures that enhance productivity. 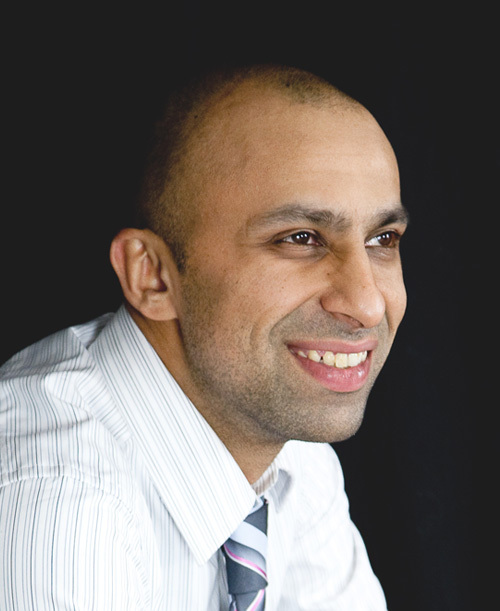 Shakil has 15 years’ experience within the Information technology industry, which ranges from Managing Network infrastructure’s, to the organising, and implementation of setups for training events across multiple venues, and client sites, within the UK.